Robert Ferro has been the Senior Pastor of Bethany since 2001. A native of Northeastern Ohio, he graduated from Trinity Lutheran Seminary in Columbus, Ohio in 1996. He served a rural congregation in central Illinois before his call to Bethany. 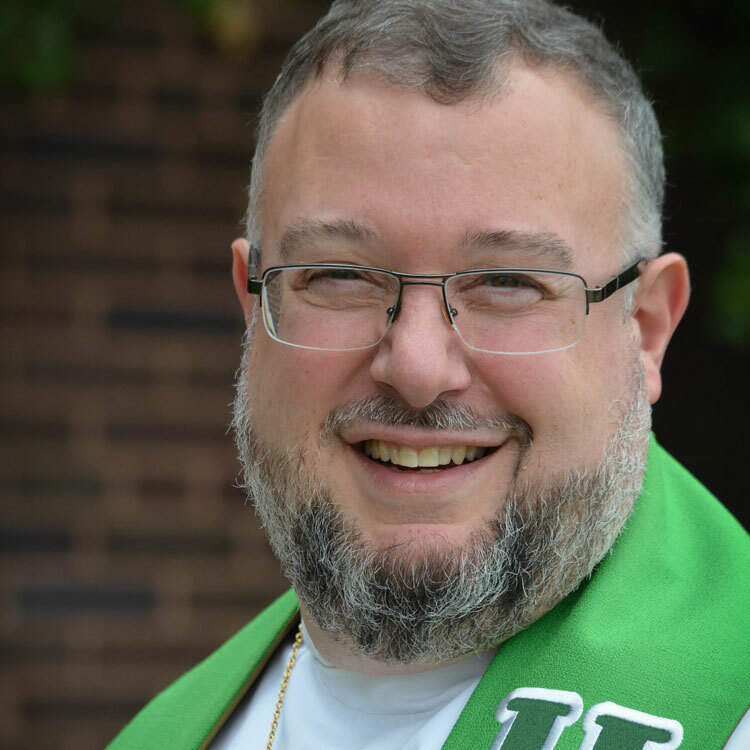 Robert also has a degree in Business Administration and Accounting and worked as a Certified Public Accountant for 12 years before entering the seminary. He is a member of the Board of Directors of the Adult Christian Education Foundation of Madison, Wisconsin, and has been a Bethel Bible Series Clinic Instructor since 2009. Additionally, he serves on the Board of Directors of West Park Meals on Wheels. Robert and his wife, Linda, have been married for 29 years and have three adult children, David, Anna and Rebekah. In addition to his ministry, he enjoys reading, hiking, watching classic films, studying history, traveling and being with his family. Originally from Bavaria, Germany, Susanne Carter, daughter of a Lutheran minister, earned a degree in Psychology from the University in Erlangen, Germany. After working a number of years as a family therapist in Germany; after moving to the US; and after spending 10 years as a full-time mom to three children, Susanne’s life changed course when she felt called to ordained ministry. She attended Pittsburgh Theological Seminary, and in 1993 was ordained as a Presbyterian minister, PCUSA. Throughout her career, Susanne served a variety of Presbyterian churches in pastor and interim pastor positions. From 2004-2006 Susanne and her husband, the Reverend Ken Jones, lived in South Africa as mission co-workers of the Presbyterian Church supporting local experts in their endeavors to address the root causes of hunger and poverty in that country. Upon retiring in 2007, Susanne was asked to lead monthly German worship services at St. Thomas Lutheran Church. When St. Thomas merged with Bethany English Lutheran Church, the German services also moved. Susanne continues as pastor to the German speaking congregation, and together with Ken, visits homebound members. Both fill in for Pastor Ferro occasionally. Melissa was baptized and grew up at Bethany English Lutheran and is happy to serve as Christian Education Director and Church Secretary. She graduated with honors from Ohio University with a degree in Telecommunications with minors in Women’s Studies and German. In her free time she likes to cheer on the Cleveland Indians and explore the Cleveland Metroparks Zoo. Her favorite book of the Bible is Judges. Sarah was baptized at Bethany English Lutheran Church when she was in the first grade and has been an active member her whole life – volunteering as a Sunday School teacher and serving on Church Council. She began working as the Financial Secretary in the summer of 2014. She has a degree in English from Miami University where she did a focus in Journalism and minored in Women’s Studies. In her free time she enjoys cheering on the local Cleveland sports teams, going to movies, reading, playing Scrabble and debating Harry Potter fan theories. Jesse, the director of our Chancel and Hand Bell choirs, is a lifelong Lutheran who grew up in Michigan. He is also the vocal music director at Cleveland Heights High School. He earned both his Bachelor of Music Education and Master in Choral Conducting Performance degrees from the University of Akron. 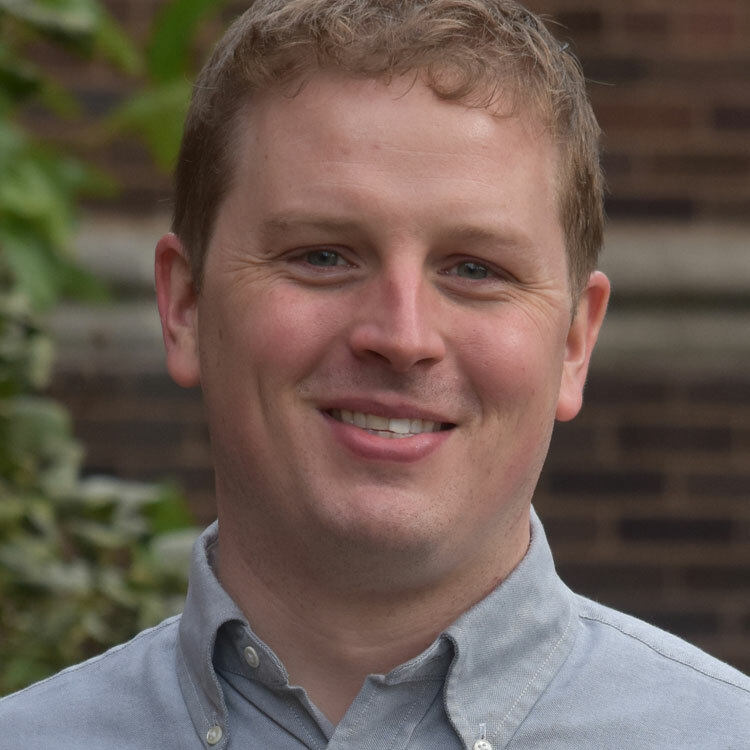 Jesse is an active member of the Cleveland Chamber Chorus, and he is past associate conductor of the Singers Companye. He served as vocal music director of Faith Lutheran Church in Kent, Ohio for several years, and as the tenor soloist for First Congregational Church in Akron. Jesse and his wife, Marissa, also a musician, reside in Akron with their daughters, Wilhelmina and Matilda and, new addition to their family, Cordelia! Daniel is currently a Double Degree student at the Oberlin College and Conservatory where he is majoring in organ performance, mathematics, and chemistry. In the past year, he has interned and studied under the world renowned organist and composer Balint Karosi at the St. Peter’s Lutheran Church in Manhattan where he learned about improvisation, directing and the Lutheran liturgy. Daniel has been a lifelong Lutheran, and was inspired take up church music when he was 15 by his mother and his piano teacher who are both ELCA music directors. Other than music, in his free time, Daniel likes playing pickup basketball and binging Law and Order with his friends. Molly grew up as a member of Bethany English, and continues to receive the sacraments here. She attended West Park Lutheran School and Lutheran West High School. After studying early childhood education at Mount Union, she later taught kindergarten for 6 years, before staying home to raise her 3 children. She now says she’s thankful for the opportunity to serve the fellow young families through her work in the nursery.